A player-by-player prediction post for the entire 25 man roster. I tried this for the first time last season and it seemed to go over well…you know…except for the fact that I was wildly wrong :). If it goes over well again, we may just make this an Opening Day tradition here at Cards ‘N Stuff. So…grab a beer…plop down in your favorite chair…and enjoy the following player previews from Cards ‘N Stuff! FYI – If you didn’t get a chance to check out last year’s preview, CLICK HERE for a trip down memory lane. FYI #2 – This year I elected NOT to include photos of each player…just ’cause it’s so time consuming for very little value. FYI #3 – My predictions below may disagree with previous predictions I’ve made this year. I consider that a result of getting through a full camp and seeing how things actually played out. What can we expect from the 2012 starting rotation in St. Louis? The Wagon Maker is back. And he looks strong. After missing last year to TJ Surgery, Wainwright is on a mission. Mozeliak conservatively tossed out 150 innings for Adam in 2012. Adam responded with disgust. “That feels like half a season to me,” he said. If his Spring Training is any indication of his health and effectiveness – and I believe it is – he’ll hit the ground running and begin racking up wins early on. Unfortunately for Adam and the team, he’ll hit a wall sooner than expected due to his early start and hard work early in camp. But the good news is…his “blah” period won’t last long. Adam is not just a “stuff” pitcher…he’s a motivated, cerebral pitcher who knows how to get hitters out when he doesn’t have his “A Game” on the mound. He’ll stumble through and finish the season strong. The only thing I trip over when attempting to project his numbers is possible down time late in the season. If the team can afford to skip a few starts for Wainwright and let his arm rest up for the postseason, I have to believe they’ll do it. I give Wainwright 27 starts, a 16 – 7 record, about 180 innings pitched, and a stunning post-TJ ERA of 2.80. Garcia nearly logged a full 200 innings pitched last season with 194.2…a fact many Cardinal fans likely overlooked when demanding Garcia pitch deeper into games. The “crafty” lefty has shown flashes of brilliance mixed with periods of frustration. The club attributes his without-warning difficulties to a sudden lost focus on the mound that seems to haunt him more often than it should at this point in his career. Let’s hope he’s figured it out in 2012. With Waino recovering and Carp on vacation, Jaime needs to make this year his year and show the team he can hold down a number two spot in the rotation. This is the second straight year one of the two big co-aces has been compromised. It sure would be nice if Jaime could fill some of that void without being handled with kid gloves every other week. I fully expect him to post a low 3.20 ERA with 30 starts, 190 innings pitched, and a 16 – 6 record. There’s a lot of excitement about Lohse this season, and a lot of talk about his team-leading ERA and Wins total from 2011. But let’s keep it in perspective. We’re talking about a staff with no Wainwright, a Carpenter who struggled early in the season, and a reliever filling in as a starter before being replaced by a mid-season trade acquisition. The odds were in his favor. Opening Day assignment aside, he should be able to return to a somewhat normal position in the rotation this year. Even with Carpenter out, he’s still expected to be in a “tied for third/second” spot in the starting five, perhaps sharing position with Jaime Garcia. He likely won’t lead the team in wins and ERA again…but could lead the team in starts and innings pitched. Expect him to be treated as the durable, reliable pitcher he is by Matheny. Look for another 30 starts and 192 innings pitched with a 14 – 7 record. His ERA could settle in at around 3.45. The projections for Lynn could get a bit screwy. 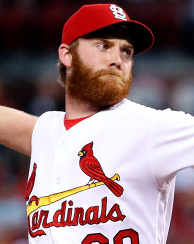 He’ll start the season in the rotation…then hopefully return to the bullpen when Carp comes back…but I fully expect him to return to the rotation for at least two or three starts down the stretch to spell achy guys and maybe even replace Westbrook. For our purposes here, we’ll only concern ourselves with his starting rotation numbers. Lynn can be very effective. He has the stuff to be an MLB starting pitcher. In fact, while much of baseball will view him as a reliever-turned-starter, Cardinal fans know he is, in truth, a starter-turned-reliever-turned-starter. Pitching every fifth day is in his blood…and he’s a horse. He’ll do well in his starting appearances. The big question is, will he do well enough early on to allow the club to trade, release, move-to-the-pen Jake Westbrook late in the season? Or even give Waino a few extra days off with a modified six-man rotation to preserve #50 for the postseason? I think at least one of those scenarios happens. Expect Lynn to finish the year with 15 starts, 85 innings pitched, and a record of 7 – 3 while pitching out of the rotation. I would give him a higher innings pitched total, but I think he’ll be pulled after 6 IP more often than not with a few starts aborted at 4 or 5 IP when he first comes back out of the ‘pen. I know, I know…he’s not technically on the roster…but it doesn’t seem right to do a preview without including The Ace. I’ll at least try to make it quick. I expect Carp to get on track and find his form soon, but it could take until late May or even early June before the club feels comfortable throwing him into a game at this level. I look for him to make 20 starts this season with around 140 IP. He’ll finish with a 3.10 ERA and a 10 – 4 record. And, yes…that puts him below the 25 or 30 starts mark so many writers are fond of talking about…you know…the one that supposedly indicates a contending season for the Cardinals. But I don’t put a lot of stock in that number anyway. Carp pitching effectively every fifth day for the bulk of the season is the main factor. He’ll do that. Furcal could struggle the first part of the season. Reports say he had an appendectomy in the offseason – at least it wasn’t hours after Opening Day 😉 – and he’s still trying to work his body into premium shape. Certainly his Spring Training agrees with that statement. Offensively, there wasn’t much to talk about for Rafi this Spring, but he wasn’t exactly stellar defensively, either. Matheny has him slotted in the leadoff spot for Opening Day, but if he can’t produce fast and early, don’t expect him to hold it until he shows he can get on base. I’m going to give him a projection of .260 avg. 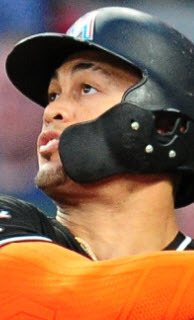 with 5 home runs…but the real measuring stick for Furcal will be a combination of games and OBP. I don’t typically project OBP, but I look for him to log 130 games and spend a bit of time on the DL. The new Cardinals outfielder is a tough projection. His injury troubles are well-documented to this point, and it’s been quite a while since he played more than his 142 game total from 2011 (161 in 2008). Iffy knees and various other maladies have not only kept him off the field, but also necessitated a move from center field to right field – a move designed to preserve the switch-hitter’s knees. Now that he’s in St. Louis, the Cardinals are returning him to occasional CF duty, althought RF will be his primary position. Assuming Beltran will need the occasional day off – as well as a possible 15-day DL stint – projecting him for more than 140 starts would be reckless…but let’s remember he’s a switch hitter with All-Star power. Those days off could turn into strategic pinch-hitting situations. I like Beltran to log 147 games this season with a .297 avg. and 20 home runs; however, his split-duty between the five and two hole will impact his RBI potential. I see 78 RBIs in his 2012 future. 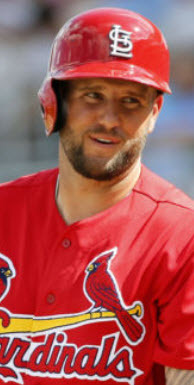 Matt Holliday is set to burst onto the scene with the break out year Cardinal fans have been expecting from him since he signed that big contract. He’s motivated, he seems more comfortable, and he’s clearly ready to have his biggest year as a Cardinal. There’s not much to say other than…the hype is real. Holliday is coming. The teams in the NL Central are rejoicing that Pujols and Fielder departed for the AL…but don’t discount Holliday. He’s ready to re-establish himself as one of the game’s premier hitters. He’ll win the NL MVP this year, hit .320, slug 33 home runs, and drive in 120 RBIs on his way to his best season since his days in Colorado. Big Puma had a stellar comeback year in 2011…but can it continue? With Albert gone, Berkman’s workload just got heavier. He seems strong and healthy, but everyone in the free world is expecting at least somewhat of a decrease in production for the former Killer B. I can’t say I disagree, but I don’t necessarily believe it will be as drastic as many believe. Berkman has a reliable batting eye, a disciplined approach, and a swing that produces screaming homers. Ain’t many of those bombs squeakin’ over the wall, I tell ya’! 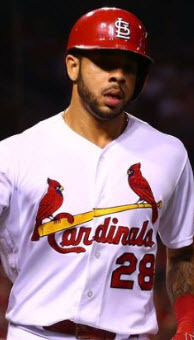 However, the difference between 2011 and 2012 for the Cardinals’ new first baseman will be focus and expectation. He won’t be catching many teams/pitchers by surprise this season – they’ll be focused on him and expecting a dangerous hitter in the box. He’s going to have to really work to produce the same numbers this year…especially hitting without Albert Pujols and Matt Holliday occupying the 3 and 4 spots ahead of him. I like him to hit for average, but maybe a bit less power. Also, I won’t predict the number here…but don’t be surprised if his OBP numbers continue to excel. Pitchers may be more careful with him at the plate…but he’ll still be just as patient and demanding and more than willing to take a walk or two here and there. I see a .295 avg. with 27 home runs and 97 RBIs for Formerly-Fat Elvis…but don’t be shocked if he puts up 90+ runs scored again with that gaudy OBP. Despite his postseason success, David Freese enters the regular season as perhaps the biggest unknown in the Cardinals lineup. He has yet to cobble together a full season – and yet, ironically enough, his total MLB at-bats equal just a bit more than a regular season with a postseason appearance thrown in. His MLB numbers: 184 games, 604 ABs, .298 avg., 15 HRs, 98 RBIs, .429 SLG, and an OBP of .354. Combine those numbers with the unreal expectations surrounding this kid, and his 2012 will likely disappoint many Cardinal fans hungry for more. And that’s too bad…because he’s set to finally piece together a solid, representative season that would be plenty impressive if not for his inhuman postseason in 2011. According to David himself, he’s been working on trying to drive the ball to center and left field in Spring Training – apparently to counter the perception that he’s an opposite field hitter. The work may be partially responsible for his disappointing Spring Training numbers, but his swing should return to form by the time the regular season really heats up. I like him to hit .289 with 15 home runs and 80 RBIs. Increased attention by pitchers and a desire to perhaps try to do too much early on will hurt his average, but his power numbers should see a slight bump while an increase in ABs in the 4 and 5 holes will contribute to an increase in RBIs. Yadi had a career year last season…and quickly turned it into a five year contract extension. His defensive numbers dropped a bit in 2011, but most agree much of the problem stemmed from pitchers struggling to do their part to suppress the running game. Those metrics should bounce back in 2012, but the real question is Yadi’s bat. Matheny is on record as saying Yadi looks more motivated and determined this year than perhaps he’s ever seen him before. That Pujols-like focus and work ethic could actually lead to a repeat of his 2011 offensive campaign. I could see him hitting .307 with 10 home runs and 72 RBIs. It would seem Jay has finally wrestled the starting center fielder job away from Colby Rasmus for good. After shipping Raz’ out of town, the team put all its eggs in Jay’s basket…and then signed Carlos Beltran. Of course, the signing of Beltran was more a result of the Pujols departure coupled with Craig’s injury…but that didn’t stop fans from drooling over a potential Holliday, Beltran, Craig outfield lineup. That said, the club likes everything about “everyday Jay” – his defense, his head for the game, his bat, and his OBP. I see no reason to believe he won’t put together another good year…but he could find himself again susceptible to prolonged slumps. Look for an average of .291 with 7 home runs and an OBP of .365. Dirty Dan is perhaps the most difficult player to project in the Cardinals’ lineup. He’ll be playing all over the field – third base, shortstop, and second base – with numerous starts and a knack for appearing late in games. 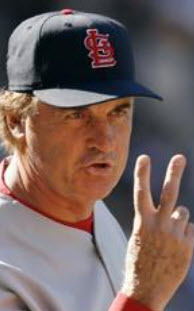 He’s become the “super-sub” Tony La Russa loved having on the team…but it’s not Tony La Russa’s team any longer. Matheny seems to suggest he likes traditional lineups, speed, carrying 12 pitchers…and leaving starting position players in the game to play a full nine innings. That should cut down Descalso’s appearances as a defensive replacement late in games. It should also reduce the number of starts he gets at third base (well…that and the hope that Freese will be truly healthy this year). In addition, Allen Craig’s emergence last season and his eventual return this season will make him the primary bat off the bench ahead of Double D. So…there go a few pinch hit appearances, too. All of that adds up to fewer game appearances than his 148 in 2011. But then there’s the middle infield questions. 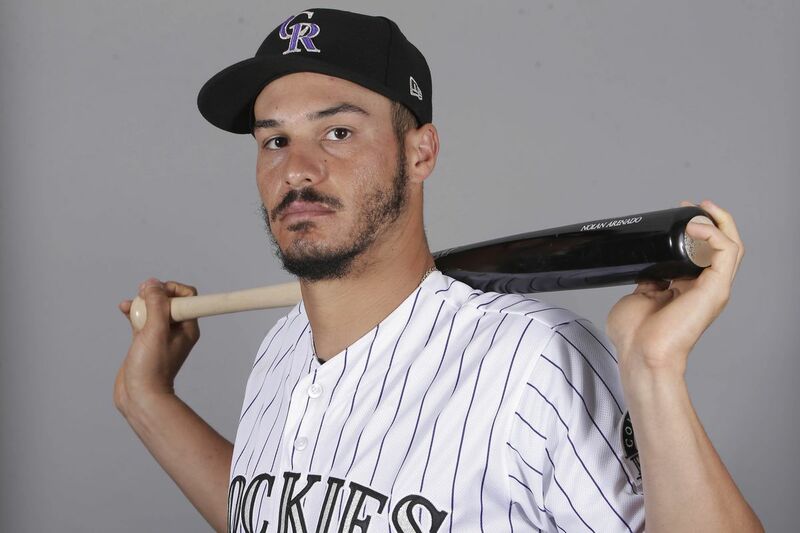 The club wants Tyler Greene to get a strangle hold on the second base job, but if he struggles even a bit, Descalso will move into a platoon situation at second. If he struggles a lot…Descalso could take the job entirely. 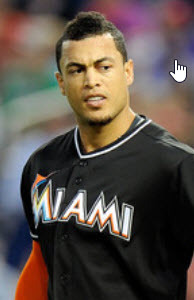 Of course, Rafael Furcal factors into the DD picture heavily. His health questions and early offensive struggles this Spring are well-known. We could see Descalso spelling Furcal at SS more than either player is comfortable with…or we could see a permanent change made for all involved. If Furcal isn’t getting it done, it wouldn’t surprise me to see the club pull the trigger on a new middle infield combination. One possible combination using the guys already on the roster could be Greene at SS and Descalso moving into the every day 2B spot. Either way, Descalso looks to get more starts at 2B – and even SS – than he did in 2011. With all that said, the big question for Dirty Dan is the number of games he will play. While his role will be expanded from 2011, the club hopes they don’t need as many starts out of him this year. In all honesty…he reminds me of an Aaron Miles type of player. Miles logged a consistent 135, 133, and 134 games each season for the Redbirds…but that was under TLR and his late inning defensive replacement strategy. I’m going to go with a bit less for DD under Matheny. Let’s say 130 games. Expect a .265 avg. and an improved .360 OBP (really the only standard offensive stats that matter for a player like DD). I said last season that 2011 was a “has to” year for Greene. Apparently, I was a year early. This is it for the sorta-young SS turned 2B. He has no options left. Ryan Jackson and Kolten Wong are working their way up. Daniel Descalso and Skip Schumaker are clear and reliable options right now. And honestly…it’s just past time for him to get it together. For years the excuse was that TLR was just too hard to play for…but he’s gone now and Matheny’s encouraging approach will leave no room for explanations or excuses. He just has to get it done…and the club really wants him to get it done. He offers power, speed, and the ability to hit for average in ways the club hasn’t seen in the middle infield in quite some time – much less second base. The big question for him is…will he actually do it? He swings and misses quite a bit, but ultimately…I think he gets it done. Look for a .275 avg., a .350 OBP, and 10 home runs. But maybe the most interesting question is how many stolen bases he’ll have in 2012. Anyone care to guess? I’m not touchin’ that one. Lil’ Carp is making his first Opening Day roster this season. And he deserves it. After putting together a strong season at AAA sandwiched by two excellent Spring Training camps, Matheny finally saw a use for the third baseman-turned-utility man. Descalso is the well-known back-up at third base – and could still get the bulk of assignments, honestly – but Carpenter offers an option with a bigger bat while freeing up DD to play 2B and SS as needed. Also, with Craig out, don’t be surprised to find Carpenter spelling Berkman at first a few times…at least for the first month of the season. As is any bench guy, Carpenter’s numbers are hard to project. They depend way too much on the number of games he plays as well as the time he spends on the roster once others like Carp, Craig, and Schumaker return. But let’s say he stays until late May, early June and puts up a .285 avg. with 1 home run in that time. After that, perhaps the play of Cox in AAA will determine his fate. Will Carpenter be traded to make room for Cox to play everyday at 3B in AAA? Or will lil Carp begin dancing around the outfield in Memphis with a spot start at 3B to keep his bat in the organization in case Freese or someone goes down? I really don’t know. This guy is an intriguing name if for no other reason than the fact that he is a Rule 5 draftee…which basically means he can’t be demoted to AAA or traded unless the club wants to lose him for good. He has to stay on the MLB roster all season or be offered back to his original club. That’s going to be tough to do with the names coming off the DL soon (Carp, Craig, and Schumaker). But one thing Komatsu has going for him is his ability to play all positions in the outfield. One thing against him is his left-handed bat. With a starting center fielder who hits left-handed (Jay), the club has been desperate for a right-handed sub to spell him against lefties for the last couple years. They may finally have that in Shane Robinson…which could be bad news for Komatsu when all outfielders are healthy. A few days ago, I originally projected Komatsu to stick. I’ve since changed my mind based solely on his left-handed bat. I think Komatsu hits well with his line drive bat…maybe .280…but is ultimately sent back to his original team in June in favor of keeping Robinson on the squad. Robinson’s position is listed as OF…but it could easily be listed as OF/Pinch Runner/Pinch Hitter/Right-Handed CF’er. Okay…that’s silly…but you get my point. Sugar Shane has many, many tools Matheny likes. He’s fast, he can steal a base, he can hit for average, and he can play a strong outfield defensively. But perhaps his most valuable asset is the fact that he hits right-handed. The team would really like to have a right-handed CF option that sticks. Shane could be that stick-er. He’s fundamentally sound and a good overall ballplayer. And he’s a good story. Remember that nightmarish collision in AAA last season? That was Shane. He told me at Winter Warm-Up that he had to relearn how to hit with his repaired hand…a hand that couldn’t even make a full fist yet (he tried it in front of me…pretty wicked). 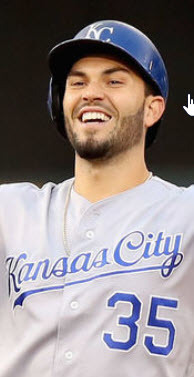 I look for him to stick on the roster and hit for average…maybe .282 in spot duty…but his real value could emerge as a pinch runner in key situations. I was really shocked – and a bit disappointed – when Bryan Anderson didn’t get this job. Ultimately, I think the club felt Anderson could be more valuable as a trade chip mid-season than a back-up catcher for the next 5 years. That doesn’t take anything away from Tony Cruz. He’s done nothing but impress since he got here. Even Chris Carpenter praised him last season as a kid who does things the right way and comes in looking to learn. He has a rep for handling pitchers well, improving defensively, and sports a nice bat at the plate. The only real drawback is his experience. As a converted infielder-turned-catcher, he’s yet to log 100 games in a season behind the plate. At this level, he’ll get few chances to refine his craft. Yadi has to be drug kicking and screaming from the lineup. Ultimately, I see Cruz hitting about .270 in limited chances. I would give him more if he had a decent shot to appear regularly elsewhere or as a pinch hitter, but Matheny just can’t afford to waste his back-up catcher in a sub role. He’s not on the roster…yet…but he will be. The ultimate question is how will Matheny find ABs for Craig with Berkman, Holliday, Beltran, and Jay on the roster? The easy answer has been to move Beltran to CF occasionally…but that’s not exactly a slam dunk. Beltran has already expressed a desire to remain in RF to save his knees…and I would think the Cardinals would agree. Besides, Jay adds stability in center that the Cards have been searching for since Edmonds was traded. I don’t see them giving that up easily. In the end, however, I could see Craig getting about 350 ABs backing up Berkman at 1B and spelling the regular outfielders (not to mention first choice off the bench in pinch hitting situations). In those limited ABs, he’ll live up to they hype and hit for a .290 avg. with 13 home runs. Of course, with numbers like that, you could see him push his way into more playing time…but Beltran and Berkman are pretty big boys to push. Expect the games in June in KC to be exciting with Craig at DH. Schu is in for a tough go this year. He’s injured…the same oblique issue that popped up in October but worse…and he’s already in a dog fight for playing time. The club seems to prefer both Descalso and Greene at 2B over Skip, and Jay is going to get the bulk of ABs for a LH CF. When Craig comes back, it gets even worse. I’m honestly having a hard time envisioning a lot of playing time for Skip. In fact, if not for his presence in the clubhouse as a “core guy,” he might already be gone. As it is, he could easily wallow on the bench with very little to no playing time to speak of. His best shot is for Jon Jay to struggle mightily at the plate and enter one of his infamous, prolonged funks. In that case, Skip would become your primary center fielder. But I just don’t see that happening. In very limited ABs, expect Skip to atrophy a bit and only hit .245 off the bench this season. In 2013, his best hope is that Berkman moves on, Craig takes over at 1B, and Skip becomes the 4th outfielder and “first in” for OF playing time. His days at 2B seem to be over. A quick note about bullpen previews: We don’t include numbers for relievers. They are, at best, a wild guess…so why waste time on them? Motte finally showed he can be an elite closer at this level last October. He’ll have to show he can do it over a full season, now. Historically, Motte has gotten off to slow starts. Blown saves, reduced velocity, etc. seem to plague him in the early months of a season – perhaps before the weather warms up? With other options in the ‘pen and routinely unsettled closer issues for the last several years, he’s been allowed to limp through the difficult months and figure it out at his own pace by moving up and down in the bullpen hierarchy. That won’t be the case this year. He’s “the guy” – for multiple reasons – and he should be given a chance to be “the guy” even when he struggles through a few games. Hopefully he’s found a way to jump start the engine in April. Linebrink made the staff because of his veteran presence. Ironically, that veteran presence wasn’t able to prevent a bullpen meltdown in Atlanta last year – in fact, he played a key role in helping the Cardinals make the postseason. But maybe that’s not fair. He’s been a good major league reliever, and Lord knows some of these guys – *ahem*…BOGGS! – could use some guidance…so I don’t really dislike the move. I just don’t know what to expect from him. Scratch that. I don’t know of anything special to expect from him. He’s a decent, dependable reliever who will likely get most of his chances in middle innings to bridge the gap from starter to set-up men. Of course…there’s always the chance a guy like this could fill the gap Lynn left behind in the 8th inning. With the trades of Tallett and Miller last season – and the acquisition of Rzepcynski – the left side of the Cardinals’ bullpen looks drastically different this year than it did last year. Romero is the hired gun with a somewhat rusty revolver (that sounds bad…). After struggling with a PED implication, he’s ready to finally put it all behind him and just play baseball again. He should be effective if used primarily against lefties, but runs the risk of getting exposed when forced to face righties. Reports suggest Matheny prefers Romero early in the game…perhaps in selective, low-pressure situations…while saving Rzepcynski for the critical work in later innings. Romero should be able to fill that role…if he can stay in the zone. One additional note…Romero is a charismatic, likeable guy, working the Winter Warm-Up media room like a late night talk show host. He should add to a loose mix in the bullpen. All indications suggest the sky’s the limit with “Scrabble.” His stuff is nigh-unhittable. His control – although spotty at times – is mostly reliable. He’s effective against righties and lefties, which could earn him a set-up role in the 8th inning soon. And his experience in the October 2011 postseason run should make any situation Matheny throws him in for 2012 a walk in the park. I like Rzepcynski…a lot…even if I do have to look his name up every time I write it so I don’t spell it incorrectly. Can we all agree to just call him Scrabble? Good. Done. Expect big things from this lefty. I just can’t help but be concerned about Mitchell Boggs. Oh, I’m not “what are we going to do? !” concerned. Options such as Eduardo Sanchez exist – and once Carpenter returns, Lynn slots back into the ‘pen – but I’m concerned for Boggs. He hasn’t shown consistency since day one at this level. He can be lights out for a while…and then suddenly become wild and hittable. Projecting his season is going to be a flip of the coin. But Matheny sure seems sold on him. That alone could give him the extended chance he needs to stick this season. If he doesn’t stick, however…one has to wonder about his future as a reliever in this organization. One of the heroes from the 2011 regular season, Salas showed he can do just about anything the club asks of him…and do it well. After being thrust into the closer role after Franklin went down and no one else could hold the position, Salas eventually succumbed to fatigue and had to be rested for the stretch run. His stuff, while effective, appears to rely more on deception and movement than it does velocity. The problem is, when he gets tired, he loses velocity AND movement…and his excellent control becomes his worst enemy. Suddenly, his difficult to center pitches in the zone become hittable pitches in the zone. All of that said…he should again be effective and reliable – and versatile – in 2012. In fact, he’s my favorite candidate to assume the 8th inning duties. You could see Matheny send Salas in to frustrate hitters in the 8th…then send Motte in to finish them off in the ninth. K-Mac was the white-knuckle player during the offseason. Not once, not twice…but three times his name came up in trade rumors! Long story short, the club considered clearing Kyle’s salary to make budget room for Oswalt. Neither happened. On we go… McClellan had a rough 2011, and it may have skewed a lot of fan’s perspective when they think of him more than it should have. He had a good run as a starter – considering it was last minute and his first attempt to both start in the big leagues and throw that many innings – but his dead arm issue at the end of the season kept him off the playoff roster for the NLDS and World Series. Don’t worry about any of that. Kyle will return to form as an effective option against both righties and lefties out of the ‘pen again in 2012. I don’t know if I like him as a possible 8th inning set-up reliever…just because he occasionally has a hiccup from time to time (remember Waino’s 20th win? ), but he’ll be a stalwart in that ‘pen for 2012. « Bird Watching: Is Opening Day Really Almost Here?